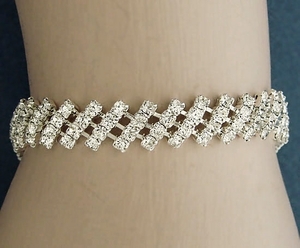 Our ZigZag Bracelet has a triple row of rhinestones in a zigzag pattern. 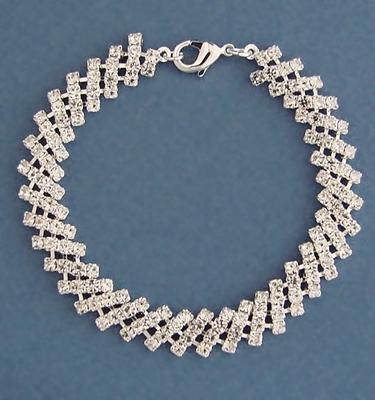 This has a lobster catch on a 7 inches silver-plated chain. BEST SELLER!